Happy Friday. I don’t know about you, but I have a full weekend ahead, between girls night, Easter egg hunts, and cooking Easter dinner, I will be busy. But it will be so much fun! Before things get TOO crazy, I wanted to share this weeks prize with you all. 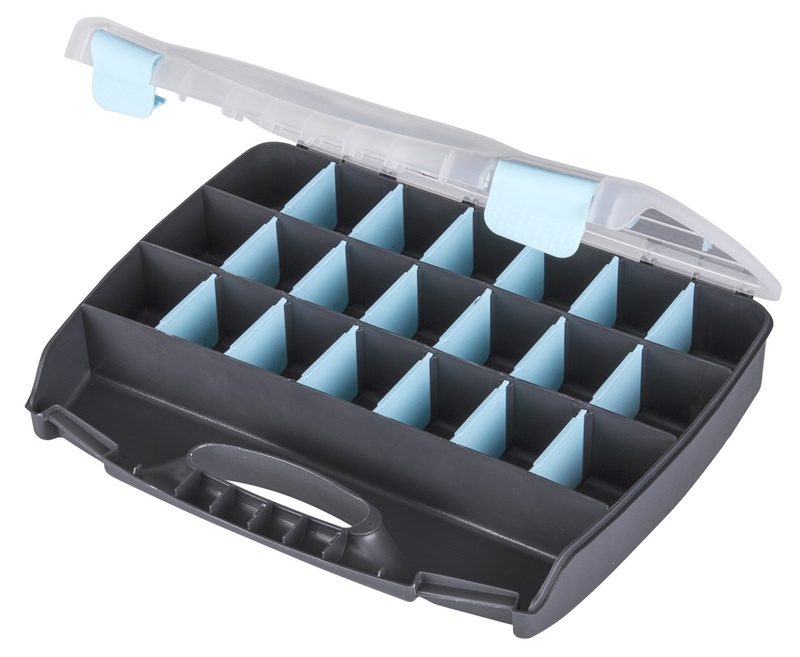 This week we are giving away an ArtBin Quick View Organizer with Removable Dividers! ArtBin 12 1/2 inch Quick View Carrying Case has 4 compartments, 3 of the compartments have 6 removable dividers each. Lid has 2 latches to keep it closed, and a carrying handle. Box has grey base, clear lid, and aqua dividers. Case is stackable with other 12 1/2 in. Quick View Carrying Cases. Measures approximately 12 1/2 x 2 1/4 x 10 1/2 inch. 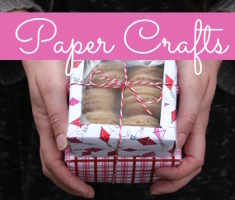 This entry was posted in Crafts and tagged Free Stuff Friday!! on March 30, 2018 by Kimberly. Every thing comes alive the flowersthe birds the hibernating animals and of course the nice weather if all goes well. Life is refreshed. Watching the new leaves return as the grass begins to emerge and turn green always gives me that extra “something” to get things done and new projects started. The flowers! It is so exciting to see the first snowdrops poking up through the snow. Spring means it’s getting warmer and there are more colors to look at outside. I live in Florida so there isn’t that much of a change but it is light later. My favorite thing about spring is seeing everything turn green again, from the grass to the trees to the flowers coming up through the ground!! 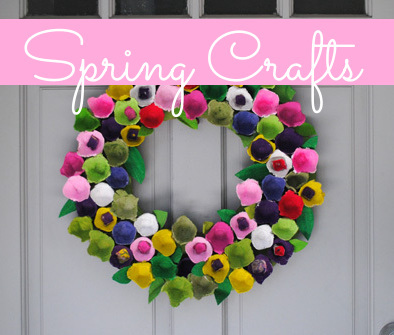 At the first sign of spring, and it comes early here in Texas, I immediately need to get busy with wood or stained glass, building or crafting out in the workshop, painting the house or adding to the deck. My wife says it’s instinctual – it’s spring so I “want to build a nest.” (She is a quilter and gets the same kind of urges, and gets out her fabric stash to organize and plan a new quilt). Spring brings hope. The birds start singing again and the flowers start to bloom their glorious colors. Everything outside comes alive! I really enjoy being outside with my family. All the blooming trees in shades of pink and white. It’s positively breathtaking. Oh, and the beautiful scent of hyacinths. My favorite thing about spring is the rising temperatures; a sure sign that winter will be gone for a while. Green! Little pops of green growing into the hope of a full panoramic vibrancy of life. Okay, so my bulbs are popping up and my fruit trees have blossoms. I waited all winter for this! The ArtBin looks really handy! My favorite thing about spring is seeing the daffodils blooming in my yard! We have lots of them planted and they make a spectacular show! I love how everything seems to come back to life after being dormant for the winter. It’s such a great picture of renewal, and a reminder of 2 Corinthians 5:17. I like when life is refreshed. New leaves and grass emerge always gives me an extra boost to get new projects started. My favorite thing about Spring is the smell of the air in the morning. seeing the leaves back on the trees! And the peach blossoms! My favorite thing about Spring is watching the ground break open with all new beautiful spring flowers. Hearing the birds chirping in the morning, watching the squirrels coming out and running everywhere… new blooms, pretty pinks and greens, flowers coming out of the dark ground with their amazing colors. Life springing up! I love the new flowers and greening of the lawns,warming temperatures and going outdoors. Nice job with the poem,Vicki Abrew! Well said! I love it! I love the newness of life in plants and animals; also love the sound of a brook flowing. My favorite thing about spring is the longer hours of sunshine. I would love to be the winner of the ArtBin case. My favorite thing about Spring is the fresh smells in the air of the new flowers and sunshine. Winter is over and everything is coming back to life. Longer days and beautiful sunshine!!!!!! I love to see how the earth regenerates itself and new life springs up as a result…. The daily popping up of new flowers and birds. I like the colors of spring. Daffodils and fresh blue skies! Everything comes alive again like fresh new beginning. My favorite thing about spring is the warm weather and everything comes rejuvenates. Spring is a time of new beginnings…such as grass turning green, the trees blooming, dogwoods, redbuds, or just the fresh new buds coming back to life. Flowers blooming…daffodils, tulips, smell of grass being cut for the very first time for the season. Birds singing, frogs croaking…Seeing kids riding bikes, playing tag, running, fishing, camping…grilling out, sitting in the swing watching the sun go down…. I love the flowers that bloom, all the colors around me that inspire new creations! Spring cleaning and all the things I find that I forgot I had. I love the return of the birds. Warmer weather – so I can get out and exercise/walk, garden, etc. Being able to do my walks out side. Seeing the flowers growing and the grass turning green. The weather. It’s in the 70-80’s and I live in Las Vegas. Now is the time I can spend time outside with my family and grandchildren have BBQ’s and movie night roast marshmallows in the fire pit and just hang out. Love this time. the birthing of baby animals. Renewed life. And the beauty of colors. 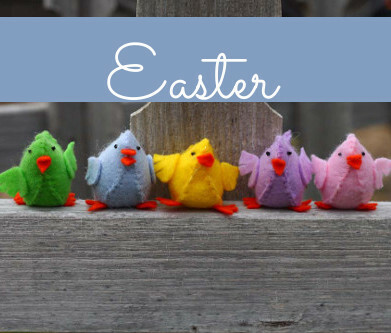 My favorite holiday is Easter, and spring is my favorite season! I love the feeling of the sunshine’s heat, and the freshness that permeates the air. I love seeing all the tulips pop up and the warmer weather! I like seeing what pops up in the gardens after a long winter. I like opening the windows and airing out the house. Taking my dogs out for hikes. Frisbee golf, budding trees, mushroom hunting, mayapples. I live in Minnesota so it’s nice to the earth coming back to life, the grass turning green, the trees and flowers budding. Warmer weather, not having to wear a coat. Ah! Less small fiber neuropathy pain, since cold makes it worse. I get minor relief when it warms up. Yay! Fresh air! Warm sunshine. Blooming flowers and trees putting on new leaves. I live in South Florida so our winters are generally like spring in the rest of the country so not much of a change for us. However I love seeing photos of all the new growth and spring blooms everywhere else that we don’t have down here. I live in CT so spring is welcome from all the grey and white and almost no sun. My favorite color in the whole wide world is yellow and spring is full of yellow! Daffodils, tulips and forsythia are everywhere and I am as happy as a child on Christmas morning. I’d like to say that I love the flowers blooming in our yard but the mutant ninja squirrels dug them up. I love the grass turning green and the trees budding. The world is Turing colorful after it was dull and I couldn’t be happier. Maybe this year I can buy some Lantana’s and plant them in my front yard! My favorite thing about spring is opening up the windows and smelling the fresh air while listening to the songbirds singing in the trees by the window. It gives me energy and then the creativity begins. I love seein the daffodils peek their heads up. The yellow just makes me smile. The days are longer and the sun is higher in the sky making it warmer. Longer days and lots of flowers. Spring always brings weather that makes me want to get out of bed and get things done inside and out. It brings the promise of success for every new project I start and a fresh perspective to all aspects of life. Everything wakes up from its winter slumber and wears the beauty of spring. The fresh air! Flowers blooming and the sunshine renews everything. It’s like life has a fresh start and everything comes alive. Even the grass comes alive with the blooming trees! Spring is new life silently bursting out all around us, as if it were wonder and joy personified! I like spring because it means no more ice and snow. My car is not the greatest and I slide and slip very easy. I am disabled and can’t afford new tires or extras so I get very scared when winter comes around. I have had times where I almost couldn’t stop on the ice. Luckily no car was in front of me. I also like the warm weather because I have fibromyalgia and can’t stand the cold weather on my hands and face. I like spring because it is the beginning of summer, before it gets too hot and the mosquitoes come out like crazy. A lot of people think about getting married, think about upcoming vacations, getting out of school, planning on what to do for the summer, think about planning a garden, taking short drives in the country, maybe weekend getaways, new love can start or happen, its just a great time of year for new beginnings. My favorite thing about spring is the first signs of new beginnings, I love to look for plants poking up looking for sunshine. My favorite thing about spring is the ABSENCE of something – SNOW!! My favorite thing about spring is the feeling of peeling off the winter. Everything is fresh and new again and you can breath. I feel like a bear waking from hibernation.